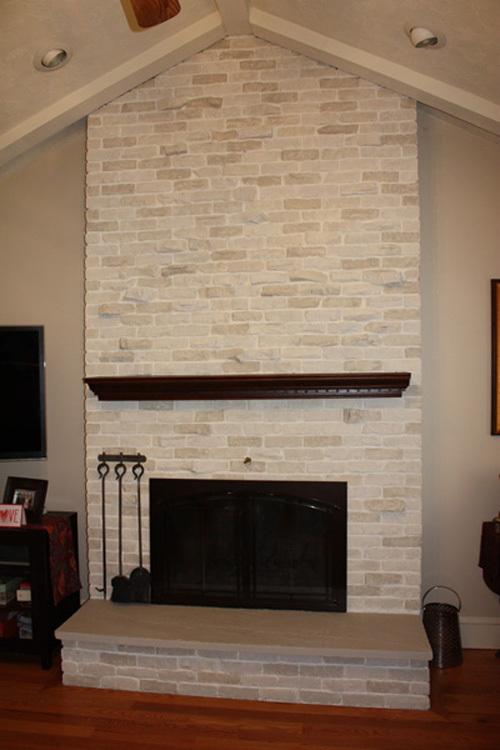 Brick Fireplace Makeover – This fireplace desperately needed a makeover. The floor to ceiling fireplace was dark, dingy and dated. 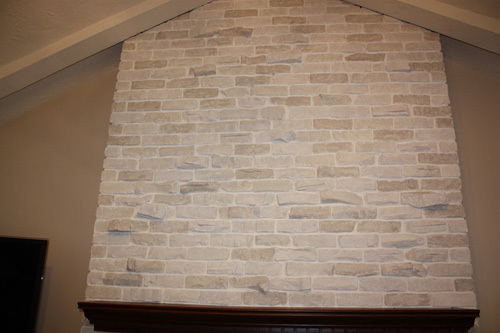 The homeowners wanted to change the color of the bricks so that they looked like a natural stone. Plain paint wasn’t going to achieve this look. 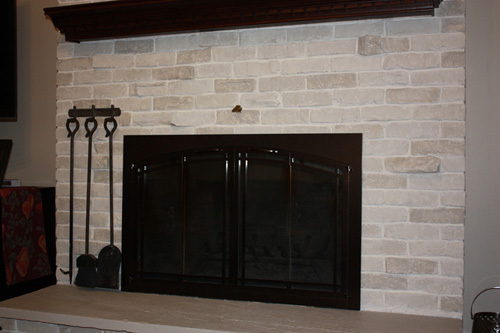 We chose a neutral, grey/beige color palette that complimented the wall color. I then made up samples using a plaster product that resembles the look and feel of stone that was just what they were looking for. Tinted glazes over the plaster added color and depth. 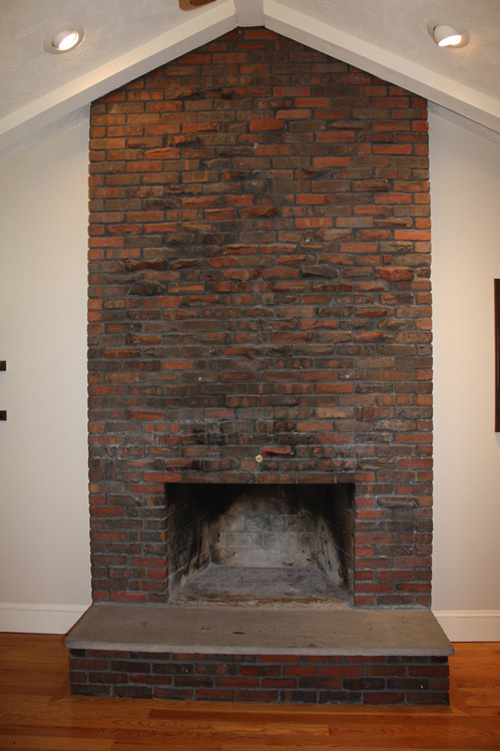 Since the fireplace had a layer of soot on it especially near the opening, it needed to be cleaned. The homeowner used TSP (tri-sodium phosphate) that is an excellent cleaning product for this particular job. After first priming the bricks with a primer, I began covering them with the plaster. Several layers gave the flatter bricks some texture; the irregularly shaped ones needed less. The glaze colors were randomly applied with a sea sponge. Even the hearth received a new coat of paint. As you can see, the transformation is dramatic and beautiful. No more ugly bricks!